The Khmer Software Initiative (KhmerOS) is a project of the Open Institute to help the economic development of Cambodia by providing computer tools in Khmer (Cambodian) language that can be used by everybody. It translates to Khmer Free and Open Source applications (such as word processing, spreadsheets, presentation tools, e-mail, Internet, graphic manipulation, etc.) for their use by private users and in government offices. It also produces large amounts of documentation in Khmer. 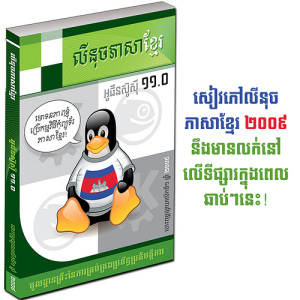 Since 2005 a larger and larger number of Cambodians, including a large part of the administration, and all of the education system, have migrated to use only Free and Open Source applications in their own language. Project partners: Open Institute (Cambodian NGO), Buddhist Institute (Cambodia), Ministry of Education, Youth and Sport (Cambodia), National ICT Development Agency (Cambodia). Funders: Spanish Agency for International Cooperation for Development (AECID), Capacity Building Germany (InWEnt), UNESCO, Internet Society, UNDP/APDIP.